If you made a mistake and deleted your Blogger account, maybe you're just now noticing that the blogs owned by the account have disappeared, also. Sorry, the blog at mydeletedblog.blogspot.com has been removed. This address is not available for new blogs. If you want a deleted account or blog back, there is only one thing for you to do - get the Blogger account restored. Get the deleted account restored - and it's best done within hours of deletion. You have to get the restore done, promptly. Every hour spend wondering what to do reduces the chance of a successful recovery. Don't recreate the deleted account - get the deleted account restored. Some people make a second mistake here, and setup a new Blogger / Google account, using the same email address. With a recreated account, you have a Blogger / Google account with the right email address - but without access to any of the blogs owned by the account just deleted. 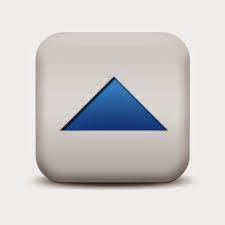 Access to any Blogger blog is only possible, using the right Blogger account. When you re create a Blogger account using the email address of a Blogger account just deleted, you are creating a new Blogger account. You cannot control blogs, owned by an account just deleted, by recreating the account. You have to get the deleted Blogger account restored, so you can re establish access to the blogs. If you recreated the account, you first have to delete the recreated account. Having created a new Blogger account (with the same email address as the previously deleted account), you now have a new problem. Google can't restore your previously deleted account, when you have created a new account using that same email address. 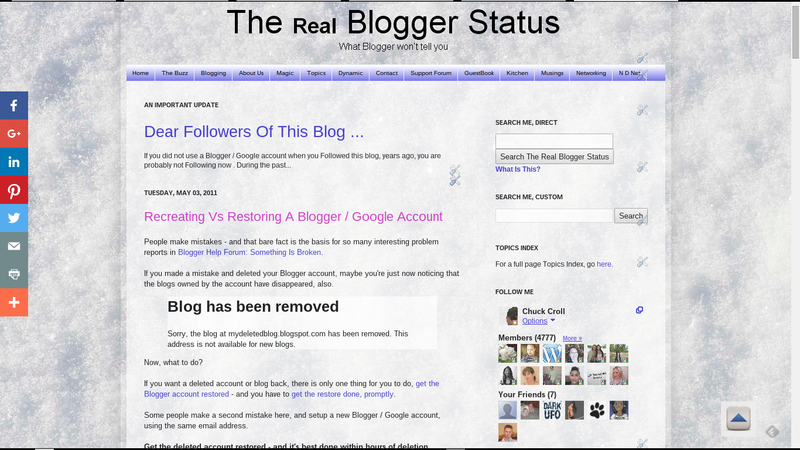 In order to have the previously deleted Blogger account restored, you have to delete the Google account just created. Delete the Google account that you just created. Have the earlier deleted Blogger / Google account restored. Un delete the blogs, that were deleted when the Blogger account was deleted. That's your only choice, now. Do it, promptly. Every hour reduces chance of success. Some Blogger blog owners accidentally delete their Blogger / Google accounts, then regret their action. With an account deletion, every hour elapsed since deletion reduces the chance of ability to recover from the mistake. And the account needs to be restored - not recreated.